We believe fishing is a contest between angler and his/her quarry; best enjoyed using tackle which is up to the task but offers the fish a fair chance. We don’t use broom handles for rods or winches to bring fish to the surface. To that end, we have purchased quality rods and reels loaded with braid in a line class to suit the job. We have been operating Mindarie Charters in Perth for a year. In that short time we have gained a reputation for consistently catching fish. We have four top-notch skippers who have each lived and worked in WA all their lives; they have a combined knowledge approaching 200 years. They have been there and got the T-shirt. The key to a consistent catch is communication. Our skippers share their local knowledge and insight from the previous day to ensure that the operators know where to go for the best chance of bagging good fish. This, and the fact that they are fearlessly competitive and all want to be the man to give the day’s winning tip. Our deckhands work tirelessly to ensure you get maximum fishing time by rigging rods, preparing bait, untangling lines and netting your catch. Our full arsenal of fishing equipment is new and well maintained. We endeavour to keep numbers on board to a maximum of 14 to ensure people are not cramped and the deckie has time for everyone. At the end of the day we will fillet, bag and tag your catch so you can take them home, oven ready. We love a great day’s fishing. If we’re having a great day then we’re pretty sure you’ll have a great day too. Steve started fishing when he was 5, in his native Northern Ireland. 30 years later he met Ian who developed his devotion to the sport over 35 years on the South Coast of England. 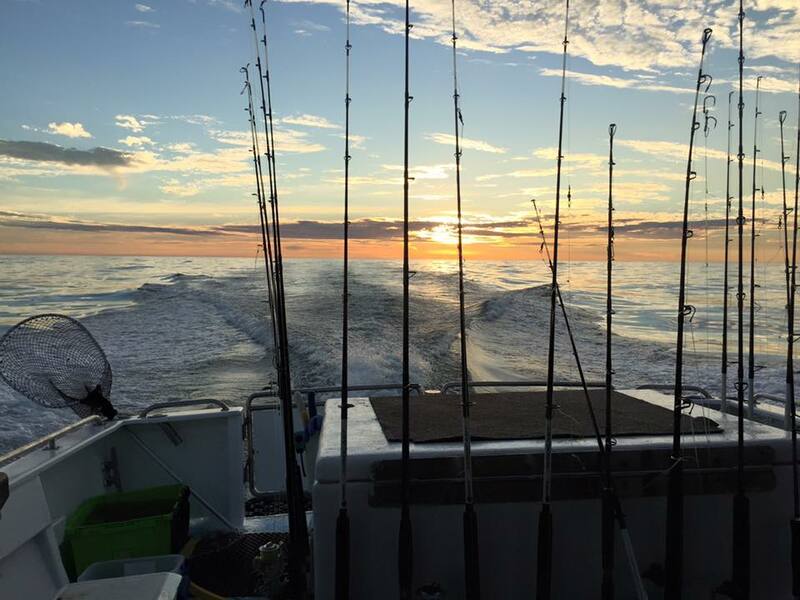 We moved here independently about 12 years ago and have been fishing up and down the WA coast ever since. We love our fishing! The buzz of being out on the water and the anticipation of the next catch: There’s nothing like it. 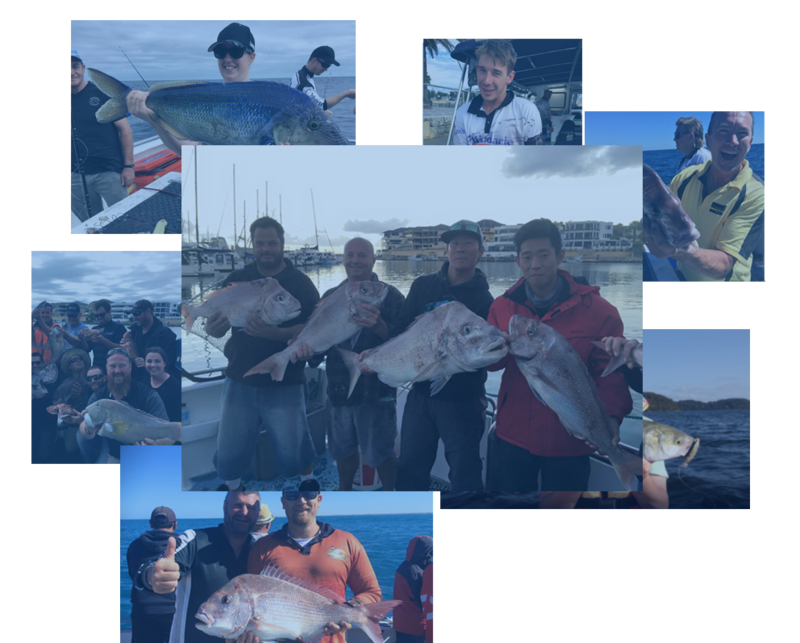 We have nearly 90 years of combined experience, the last 20 in Western Australian waters.